What Every CEO Needs To Know About The Cloud? The Cloud is an extensive transformation that fortifies businesses with its vast compute capacity, storage, networking, and virtualization resources. To support those mentioned above, let me take you through what CEO Larry Ellison once said in the Oracle Open World. Now it has become, in fact, a major part of the engineering that inspires the world. Our social networks, our entertainment or our communication systems would solely not work without Cloud technology. Unfortunately the crucial importance of the Cloud today also suggests that it is no longer a subject solely for your technology organizations. 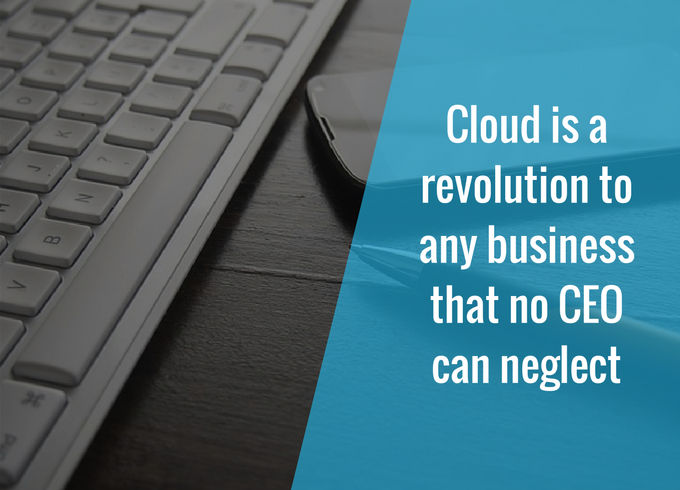 Either it is transforming how you communicate with your clients, how your crews work or how promptly you can deliver to distinct market services – the Cloud is a revolution to any business that no CEO can neglect. Cloud trend is leading venture-backed startups to biggies’ up to a notable level, but how significantly does it influence the mind of CEOs? Small businesses thinking about a move to the cloud need to consider many factors. A CEO should analyze these circumstances to get a sound knowledge of the benefits and which type of cloud solution is best for them. Why will the cloud be a big deal behind the IT field? What are the fundamental concerns and struggle areas of uncertainty, and How solid are they? To address these affairs, all CEOs need to understand the essential advantages of cloud computing. Check out here advantages of managed cloud computing. Let’s suppose, A bank owner wanted to remodel their sober bank offices into an office of the future. Most offices are designed with a single method – 70% desks and 30% common spaces. The bank, to their credit – replace old cubicles with cafe style public spaces and meeting areas. Even better, instead of desks, every worker was given a locker for their private properties and a Macbook Air to do their work. Faculty loved the new offices – but there was only one dilemma. IT had established old school productivity software on all the new Macbooks which ran unbearably slowly and at times, disappointed to work properly at all. As part of your consideration of the Cloud, take a narrower look at the tools guys practice to work. Ask extra questions. How might the proposed Cloud migration promote a new art of collaboration? Is there a safer way for your people to share great opinions and innovative methods? How might your team members recognize other projects in the organization related to them? Can you make it easier for freelancers and partner companies to work within your framework? Creating an office of the future needs more than just re-imagining your physical locations. You have to re-imagine task as well. Tip: Some of the most significant Managed Cloud Hosting advantages for the companies. IT considered that their primary mission was to play defense. Keep the trouble out hackers, viruses, and malware, while keeping your sensitive information secure within. Things have evolved. Security is yet necessary, but it has to be adjusted with new entities. In today’s world, everyone wants a new model of IT. In truth, so does most of your IT team. Behind the discussion of Cloud is a broader discussion about the tomorrow of the IT field. The next generation of IT administrators already knows they should be spending fewer sources on installing servers, disposing patches and more time in establishing relationships with their customers, managing integrations and collaborating with the line of business administrators. Technology is no longer a hindrance to accomplishing those aims, but your organizational design and legacy IT executives might be. You will need good IT management because the Cloud introduces new risks that you and the board need to be thoroughly prepared on. Safety in a Cloud environment is more complex, and there are continually shifting consumer and regulatory hopes of how you manage privacy and security. There are also dangers in the Cloud’s novel pricing models. Competitive enterprise IT providers will try and sell you on an entire stack of cloud applications – whether you want them or not. How simple is it for your clients to do business with you? How many pieces of paper, applications, endorsements and other barriers to getting deals done has ‘usual business practice’ put in the process of winning on customer experience? One of the benefits of transferring to the Cloud is that it allows companies an opportunity to transform primarily how they become captivated, assist and ultimately enchant their customers. In the past – innovating around the client’s experience was more complex. Designing some beautiful looking interfaces was not enough. You have to re-engineer entire parts of your back-end operations as well. In the Cloud-centric enterprise, you can begin to think of your data and services as modular components that you can consolidate in intuitive ways. Tip: How the Hybrid Cloud Helps Transform Enterprise Models? Consult with your crew how might support your new technology infrastructure in the future. What sort of mobile applications might you use that you were not able to a few years ago? Do you have any partnership with other businesses and platforms and are building compelling new services through inter-connected Clouds? If you could design a new service or product, at a fraction of the regular rate but with a one-step ahead service proposition for your users – would you do it? Or would you wait for one of your contenders to intrude your industry first? Here’s your difficulty – how might technology affect your strategies for re-writing the laws of your business? Front desk opportunities are not the only ones. Sometimes the most exciting ideas come from when you make services like business analytics more available to your front line people, or you begin to integrate real-time data from back office functions. How might you improve the style you run manufacturing, logistics, or your supply chain – and in doing so, disrupt your product or service present to the market? 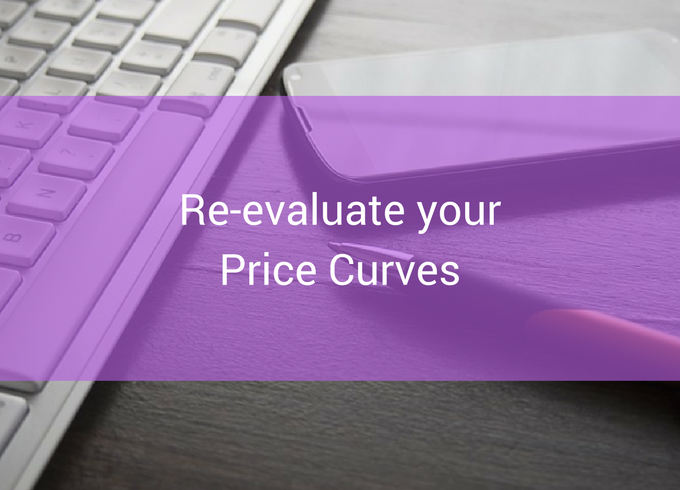 The last and conceivably most crucial question you need to know about the Cloud is how it transforms the means you think about pricing. In a traditional IT-based company, costs are a step function. Originating a new book, joining more people or designing a new product or service will in the short-term significantly turn your cost base to a new level. The Cloud gives administrators a very sharp analysis. Even the small enterprises or start-ups can access world class applications, storage or computation services on a per-user basis, enabling them to incline up very promptly as demand booms. If we give it a thought. Who had even imagined that Instagram could reach to such a huge users and be sold for a billion dollars in just twelve months and that too on a traditional technology model. And even if you can’t imagine how your organization could innovate as nimbly as an Internet startup – what would happen if one of your competitors did? Tip: Do you know Why Startups Are Adopting Cloud-Based Data Center Technology And for the Right Reasons? Have a look. I’ve asked you to analyze loads of new queries, but probably one view is very clear. The Cloud is a strategic conversation that concerns in the boardroom, not in the basement. Plan an administrative unit conference shortly to conceptualize the issues raised by these five cases as mentioned earlier, and put the most crucial question of all on the program. How can new technology not only improve but help you re-imagine the behavior you do business?